High Defintion Brows have revolutionised eyebrow care to give everyone that extra look-good and more importantly feel-good factor. It’s much more than just eyebrow shaping. Every High Definition Brows treatment is absolutely exclusive, as our stylists assess the shape of your face and colouring before creating a bespoke brow, tailored exclusively for you. Even if you have sparse areas, hope is not lost! Our expert stylists will work with you on a re-growth programme to achieve the perfect brows for you. 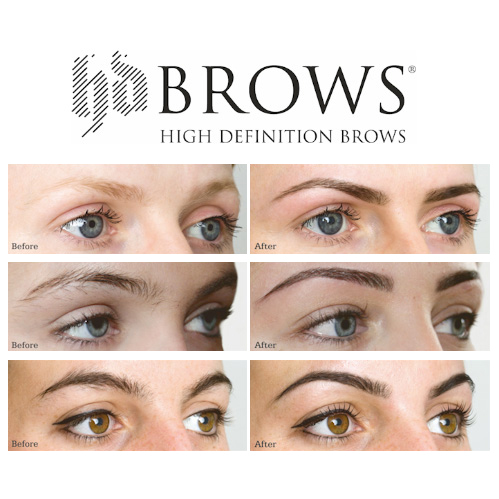 As a branded treatment, every procedure is performed using the specially formulated HD Brows professional range of products, ensuring the quality of the treatment is consistently high. *Requires a patch test 48 hours in advance.